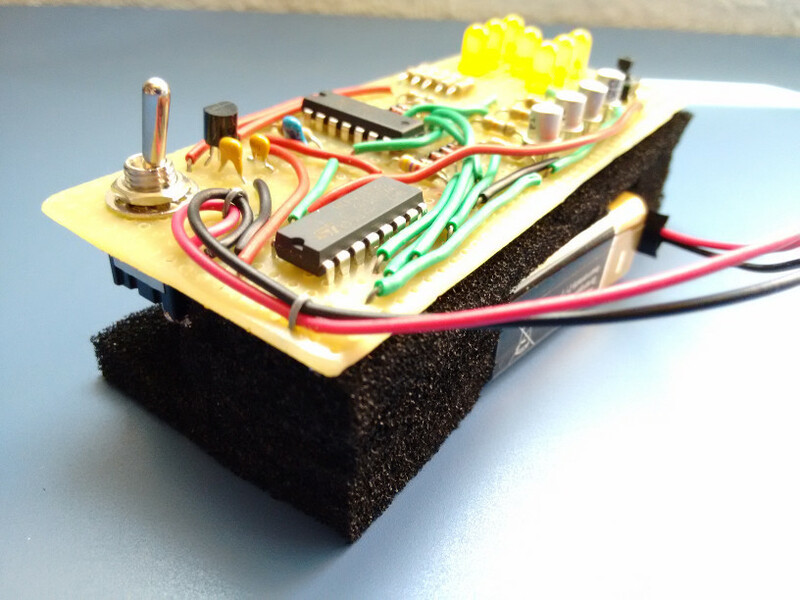 I used foam to hold the board and the battery in place so that it could be put into a handmade box. Almost all components are specified in the schematic. The ones that aren't completely specified are the voltage regulator (78L05), the inverter IC (74LS04) and the decade counter (HFC4017). 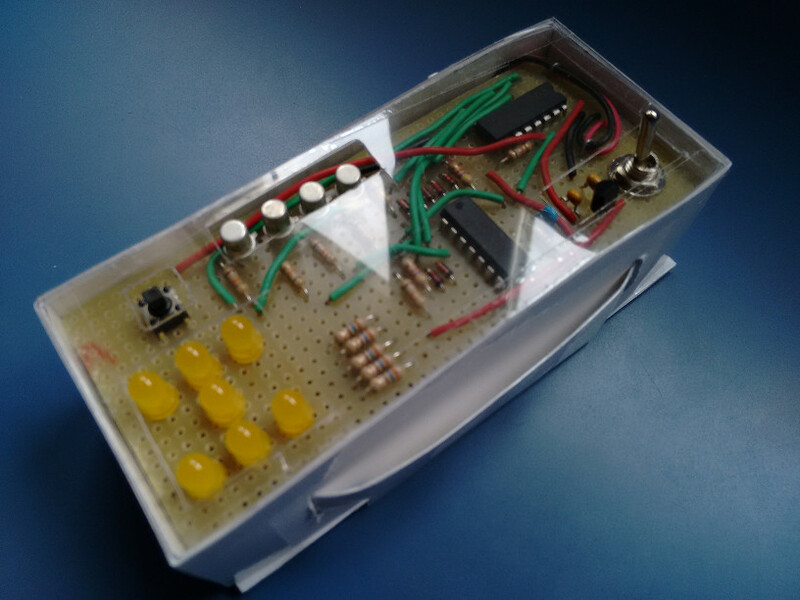 The first one is that the oscillator is made of two inverters (and a capacitor and resistor). The values I've used for R and C make it oscillate at 390Hz approximately. The second one is that I don't use an IC with OR gates. I've decided to use some diodes and resistors to create them (https://en.wikipedia.org/wiki/Diode_logic). 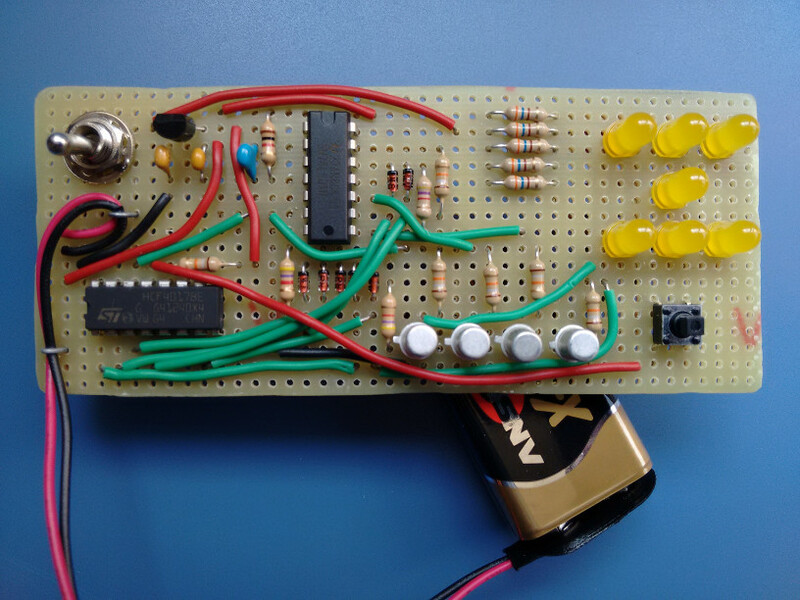 The circuit uses a 9 V battery. 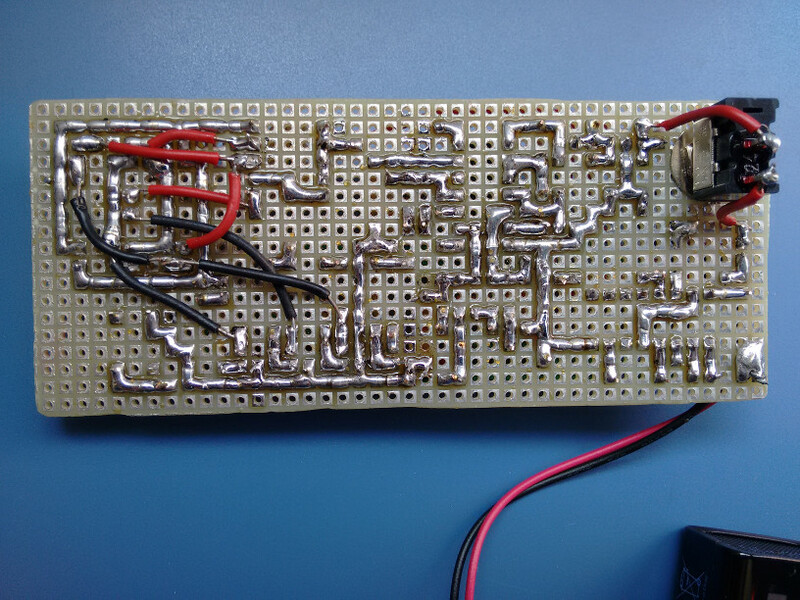 The logic of the circuit needs about 11 mA, and the LEDs need around 9 mA each. That means it uses from 20 mA (when only 1 LED is on) to 65 mA (when 6 LEDs are on). The 7 LEDs can't be turned on at the same time, obviously.